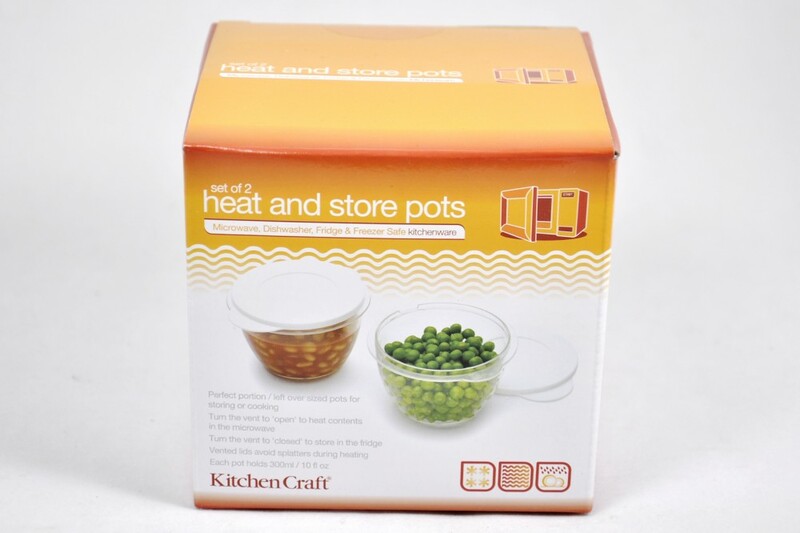 Kitchencraft heat and store microwave oven safe pots. Order code: KCMPOT2PC - Supplied as a pack of two. Perfect portion / left over sized pots for storing or cooking. Turn the clever 'vent' to open to heat contents in the microwave. Turn the vent to closed to store in the fridge. Vented lids avoid spatter during heating. Each pot holds 300 ml. 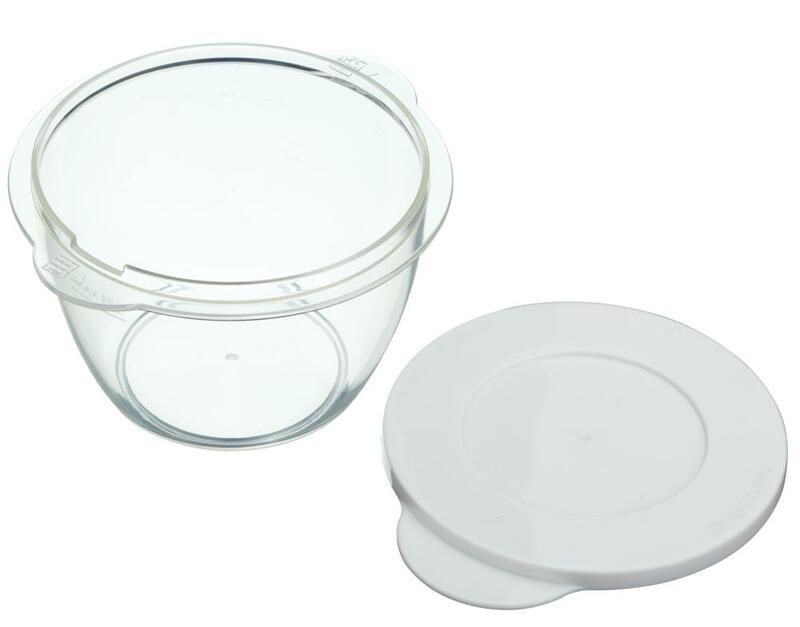 Diameter with lid = 125 mm. 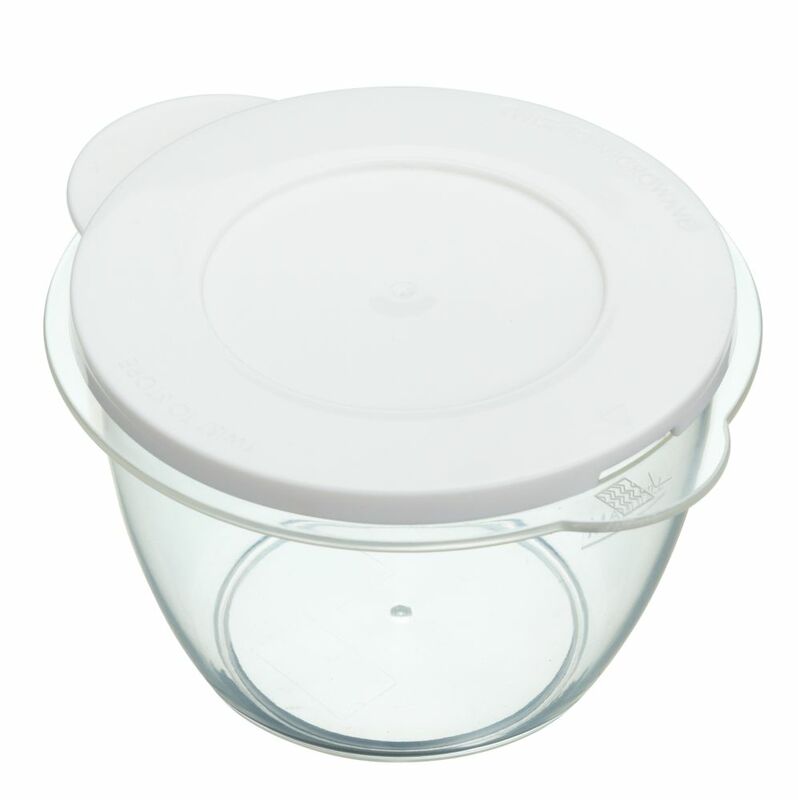 Height with lid = 70 mm. Microwave, dishwasher, fridge and freezer safe.